Telephones : +91 522 - 2330024, 2330005"
Our school is dedicated to the education of children and CMS has a strong academic emphasis wherein students are encouraged to achieve the highest academic standard. We are working together to promote and develop a learning environment where students can reach their full potential, by participating in all school programmes. We believe that each child is a unique individual with special gifts and talents and with motivation, encouragement, and hard work, the child can reach great heights. We believe that there are no secrets to success. It is the result of preparation, hard work and learning from failure. Education is what remains after one has forgotten what one has learned in school. 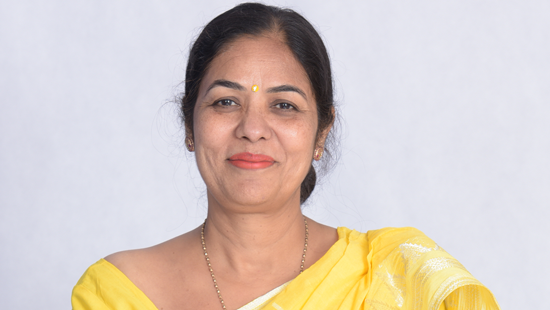 CMS Mahanagar Campus, blossoming and blooming under its caring Principal, Dr. Kalpana Tripathi, is the very epitome of perfection. 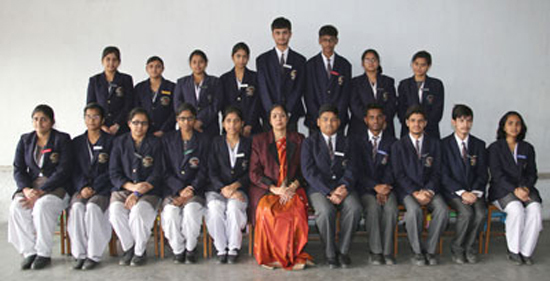 The high standard of spoken English, excellent academic results, large tally of medals and prizes won by the students in various contests speak volumes of the high standard of academics and co-curricular activities maintained here. CMS Mahanagar Campus has given excellent results throughout. Two of our students Radhika Chandra and Saman Waheed topped the All India ISC Merit list 2018 (AIR 1) with a record 99.5% marks along with Ibrahim Kamal and Muskan Tandon who scored a whopping 99.0% marks breaking all the previous records. CMS Mahanagar is known for excellence in all things. We have shown excellent results in the ICSE and ISC examination for the past many years. 62% of students have secured 90% and above marks and for the last four years we had toppers in Lucknow in ICSE/ISC exams. Our students scored 99.25 and 99 percent marks in the Board Exams. This year, we had two students selected in IAS and two students in PCS (J). It is a matter of pride for all of us that our student Jitesh Singh Deo was selected Mr India World 2017 this year. He will be representing India in Mr World contest 2020. Under the guidance of our Respected Founder-Manager, Dr Jagdish Gandhi, Founder-Director, Dr Bharti Gandhi, President, Prof Geeta Gandhi Kingdon, Director of Strategy, Mr Roshan Gandhi Forouhi, we are sure to conquer the heights of success in future too, working as an excellent team. I thank all dedicated team of teachers and all staff members for working for the cause of the children and providing unconditional support to the school. I also thank all the parents for cooperating in all school programmes and for having faith in us. 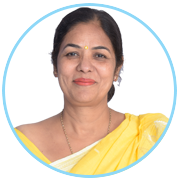 I am grateful to Respected Mrs Susmita Basu, Superior Principal & Head, QAID, and her team for providing guidance from time to time to help us improve the standard of education. Among the outstanding alumni who have made the Institution proud, Ms Lovey Tripathi has had the rare distinction of getting selected in four IIMs (Ahmedabad, Kolkata, Indore and Kazhikode) in her very first attempt. She secured 99.44% marks in the CAT examination. Master Vivek Ranjan Maitriya made the branch proud by standing among the top ten students in India who had been selected in DESTINATION NASA CONTEST hosted by 24x7guru.com. 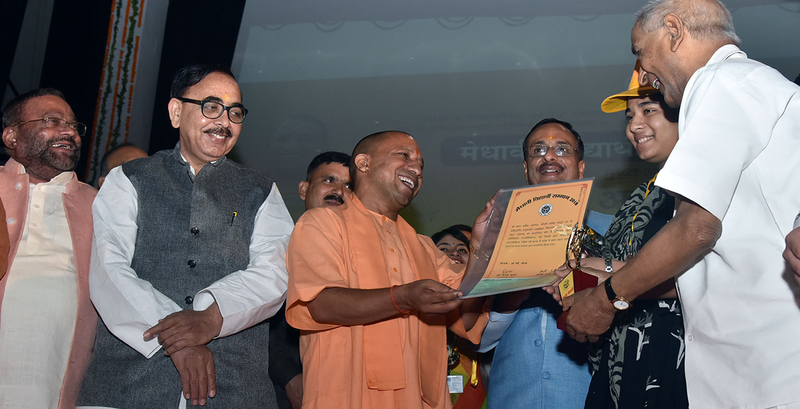 Vivek is the only student selected from U.P. and he visited NASA headquarters (USA). Other outstanding students who have brought glory to the Branch are Priyanka Raina, Mandavi Dwivedi, Nitin Nath, Smriti Agarwal, Himanshu Verma, Salman, Puja Rai, Mudita Shukla, Apoorva Verma, Meghna Rastogi, Shashank Dwivedi, Nazar Ali, Aishika Shukla, Saurabh Chaturvedi, Vaishnavi Singh, Aditi Singh, and others.